Singapore doodle on Google, did you notice? Modern Singapore is commemorating its 200th Founding Anniversary Monday (January 28) and Google is celebrating it with a simple yet emblematic special doodle on its search browser. By tradition, Google normally revises the logo on its homepages to echo or remind people of special events, achievements, and holidays. 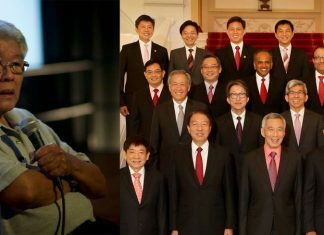 January 28 is a significant milestone in Singapore’s contemporary history as it marked the arrival of Sir Stamford Raffles in Singapore 200 years ago. 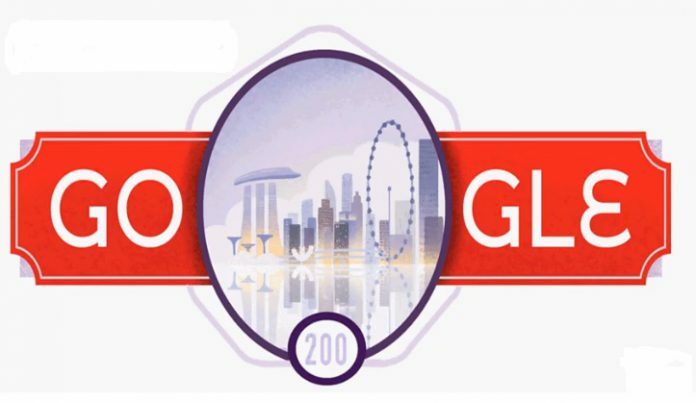 For its Singapore Bicentennial Google Doodle, the search engine monolith showed a dominating red Google logo, and featured major Singapore landmarks like the Marina Bay Sands, Gardens by the Bay and the Singapore Flyer. A wide variety of events have been planned to celebrate the Bicentennial. To get kick off the event, the annual i Light Singapore event and Light to Night Festival will run from Monday to Feb 24 and will feature specially curated works.